Toasty, sweet, and subtally floral aroma with a clear, crisp taste and body. Shan Lin Xi is a delicious buttery green oolong from Nantou County, Taiwan. Shan Lin Xi is a pristine nature reserve known for its maples, wild-flowers, and butterflies. Tea from this region has a distinctive clear, crisp flavor and aroma known to oolong connoisseurs around the world. Due to Shan Lin Xi’s high elevation and cooler climate, the tea leaves in this region grow more slowly, attaining a higher concentration of sap and essential oils, which contribute to the tea’s complex flavor and aroma. 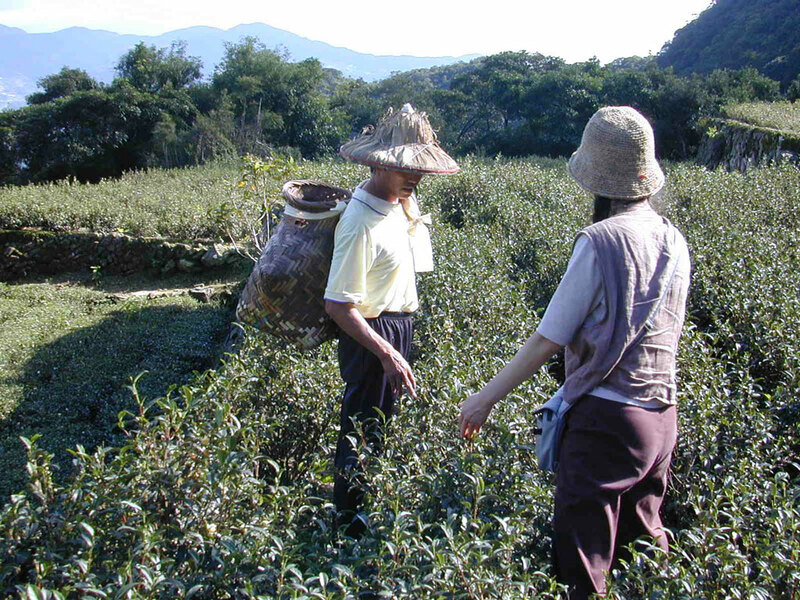 Though oolong processing can be applied to any tea leaf, certain cultivars lend themselves specifically to the techniques used. Taiwan oolongs develop fragrances and tastes not found in any other tea and the art of Taiwanese oolong making has been adapted to enhance the qualities of varietals from each region of the Island. For Shan Lin Xi, newly sprouted leaves are plucked and then withered in the sun for a few hours to reduce moisture. When suitable leaf suppleness is achieved, traditional rolling techniques (wrapping the leaves in cloth) are applied. This Shan Lin Xi is finished with a long, low-temperature roasting which enhances the tea’s distinctive fragrance without making the leaf brittle. Toasty, sweet, and subtly floral aroma with a clear, crisp taste and body.